Almost a year ago, I and some other legal bloggers wrote about a phenomenon known as the Freemen on the Land movement. I called the post Freemen of the dangerous nonsense, for that is exactly what the movement is, for those desperate enough to sign up to it. Now a Canadian judge has done many judges around the world a huge favour by exploding the movement’s ideas and leaders (or “gurus”) in a carefully referenced and forensic 192-page judgment, which should be read by anyone who has ever taken a passing interest in this issue, and certainly by any judge faced by a litigant attempting the arguments in court. The Freemen, alongside other groups with similar creeds, believe that if you change your name and deny the jurisdiction of the courts, you will be able to escape debt collectors, council tax and even criminal charges. As this member of the Occupy London movement, “commonly known as dom” wrote in guardian.co.uk (of all places) “if you don’t consent to be that “person”, you step outside the system“. As you may have guessed, this magical technique never works in the courts, but judges are often flummoxed when faced with the arguments, which are odd and in many ways risible. But what has been lacking is an authoritative, systematic judgment explaining, in detail, why that is. Until now, that is. R (o.t.a Badger Trust) v. Defra, Ouseley J, 12 July 2012, read judgment, and on appeal, CA, 11 September 2012, not yet available online. It is impossible to drive through the narrow and high-hedged lanes of Herefordshire without coming across the sad and inevitable outcome of car meeting badger. One estimate is that we may lose as many as 50,000 badgers a year this way. But this case is about whether we should kill a lot more badgers – deliberately. For many years there has been a debate about whether, and if so, to what extent, badgers cause the spread of tuberculosis in cattle, and, if it does, what should we do about it. Recently, a decision was made by the Department for Environment, Food and Rural Affairs to cull some of them. And this challenge is to the lawfulness of that decision. At which point we immediately run up against a bit of an institutional accident. Defra, is, when you scratch it, the old Ministry of Agriculture, Fisheries and Food spliced together with bits of the old Department of Environment. 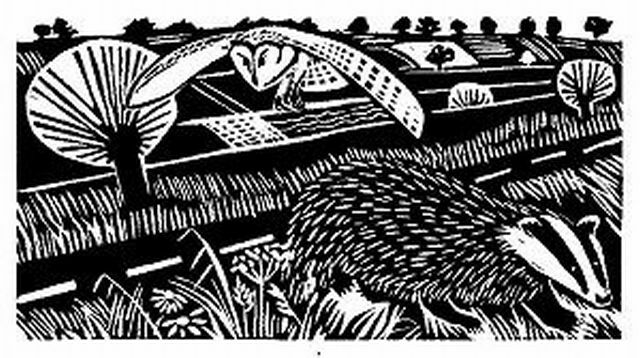 And, a bit like the sad nocturnal collision of badger and vehicle, badgers tend to come off worse when farming interests encounter nature, particularly where, as in this context, the science appears equivocal. That sounds rather contentious, but is not meant to. Let me explain why. UPDATED | I have been sent the Statement of Facts and Grounds for Judicial Review on behalf of Abu Hamza, dated 25 September 2012. These are open court documents and have been obtained directly from the Royal Courts of Justice. This particular claim is very limited. He applied for and was granted a passport on 11 November 2011 and although this was sent on 20 November 2011 to Belmarsh Prison, where he was located, the passport has not yet been given to him. He has also requested photocopies, to no avail. He claims that the failure to provide him with his passport or copies of it is contrary to Home Office Guidance Note 20, as well as potentially Article 8 of the European Convention on Human Rights (the right to private and family life) and the EU Citizen’s Directive 2004/38/EC. For what it’s worth, this is fundamentally a legality challenge under ordinary public law principles – the human rights aspect of it is likely to be in the background. So although it would technically be correct to say he is challenging this decision on human rights grounds, that aspect is only likely to play a small part in the claim. The British Academy have today published a very interesting new report by Colm O’Cinneide considering the workings of the UK human rights law, the relationship between the ECHR, UK courts and the Parliament and the potential effect of a bill of rights. The Erika: Cour de Cassation finds against Total, big time. 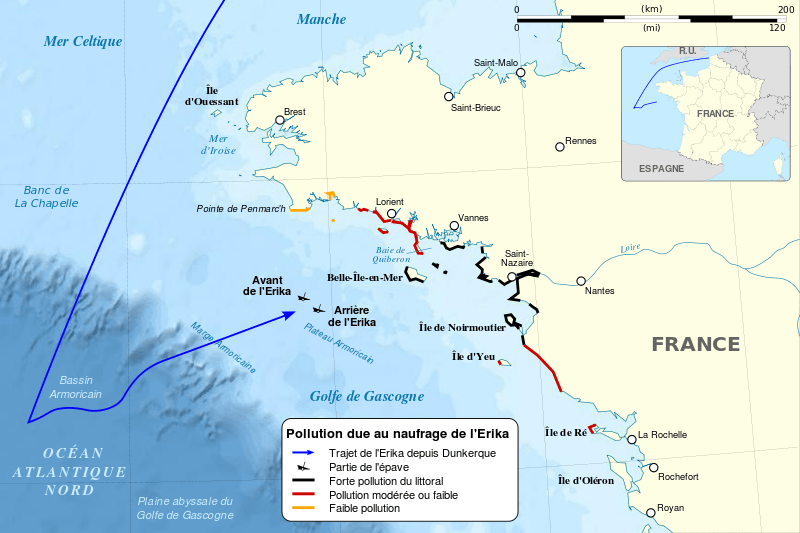 Earlier today, 25 September 2012, (judgment here, in French) the Cour de Cassation in Paris ruled on the long-running question of whether Total is criminally and civilly liable for the loss of the Erika on 12 December 1999 and the consequent spillage of some 20,000 tonnes of heavy fuel oil, affecting some 400 km of the French coastline. The case has see-sawed so far. The Criminal Court of First Instance, and the Court of Appeal in Paris had said that Total and others were responsible, though the Court of Appeal did not make this finding in respect of the civil claims. Next, the prosecutor, Advocate-General Boccon-Gibod, expressed his view to the Cour de Cassstion that Total was not liable at all. But his view was not shared by 80 parties who appeared before the court, including the affected communes Now, the court has finally ruled in favour of those polluted, both under the criminal and civil laws, as against Total and other responsible parties – all these issues have been decided in the same decision, in a way which may seem a bit odd to UK lawyers who generally put criminal and civil law in different boxes. The judgment is pretty weighty, some 330 pages of legal French – as is standard, this is all written as one huge sentence – broken up by multitudinous semi-colons. it is not easy to digest, to say the least, but I shall try and give the bare bones of the decision. For the first time the European Court of Justice (CJEU) has been asked to address the issue of indirect discrimination based on ethnic origin and the possible justifications for such discrimination. Is it discriminatory if, in districts which are inhabited predominantly by a people belonging to a certain ethnic minority, electricity meters are suspended much higher than elsewhere? The Court has thus been given an opportunity to refine its case-law on the ‘anti-discrimination directives’ – in the present case the Directive 2000/43/EC (the “race directive”). What led to this dispute was the practice in two districts of the Bulgarian city of Montana, of attaching electricity meters to electricity poles at a height of 7 m, whilst elsewhere electricity meters are installed at a maximum height of 1.70 m, such that they are accessible for consumers. The districts in question are inhabited primarily by people belonging to the Roma community, and the question therefore arises whether this practice constitutes discrimination based on ethnic origin. Tomorrow, Liberal Democrats will debate the Justice and Security Bill and will vote on saying no to the Government’s controversial secret courts proposals. Played in the press as a good opportunity to put clear blue water between the coalition partners, the motion will give a party members a chance to speak out on a Bill which many see as an anathema to the traditional liberal commitment to open, fair and equal access to justice. The Bill would – for the first time – introduce the controversial “closed material procedure” (CMP) into our ordinary civil justice system. In CMP, one party to proceedings and their legal representatives are excluded from a hearing and from seeing any evidence, argument or judgment associated with closed material, leaving Special Advocates (security vetted lawyers) who they cannot discuss the case with to represent their interests as best as possible. These exceptional procedures have been criticised by both commentators and courts since their inception as a flawed and unfair mechanism which endangers the rule of law and open justice (JUSTICE and others have dissected the Bill on this blog and elsewhere, highlighting its serious long-term political and legal implications). The ECtHR’s recent decision in Buckland v UK demonstrates again how wonderfully delphic the subject of housing and Article 8 rights to private and family life has become. In one sense, the outcome was fairly predictable because the case was determined by the UK Courts before the Supreme Court in Manchester CC v Pinnock established the principles of proportionality in possession claims. UPDATED: Thank you to all the those who pointed out my errors in this post – hopefully you will now find they are corrected. A few fairly major issues to chew over this week: we have commentary on the controversial Sarah Catt abortion case, responses to the Strasbourg decision on indefinite prison sentences in the UK, and more additions to the debate about religion and human rights, among other things. Bill of Rights Commission: loading the dice? Using human-rights principles to attempt to ban circumcision in Germany is a grotesque insult to the memory of Holocaust victims. The Jewish jurists who helped inspire the human-rights movement must be spinning in their graves at the intellectual violence that their legacy has spawned. I have written before about the misuse of the Holocaust to justify arguments for reforming the Human Rights Act (the human rights debate has its own version ‘Goodwin’s Law‘). But I will leave the substance of the article for another day – I will be responding soon in the same newspaper. Rather, I wanted to discuss the timing of the article. As regular readers may know, Fisher is one of the eight member of the Commission on a Bill of Rights, which is currently consulting the public for a second time (see my post). The consultation is closing on 30 September 2012 and the Commission is due to report before the end of the year. No mention is made of the fact that Fisher is a Bill of Rights Commissioner; he is described as a “visiting professor of law at the London School of Economics”. Does anyone else find this a little odd?